Very private and secluded home overlooking the Yampa River Valley with sweeping 360 degree views. Offering 6 bedrooms and 5 baths, plus loft and extra family room with wet bar. Nicely appointed kitchen with stainless appliances, granite countertop with glass tile back splash. Amish handcrafted wood floors throughout the main level. Additional one bedroom caretaker unit with kitchen and fireplace. Room to park up to 4 vehicles in garages, attached carport, concrete pad in place for additional parking. Plenty of space for toys, work shop, storage and more. Located on over 55 acres with excellent hunting, hiking, OHV use, snow snowmobiling, etc. Spectacular piece of property providing gorgeous vistas and sunsets. 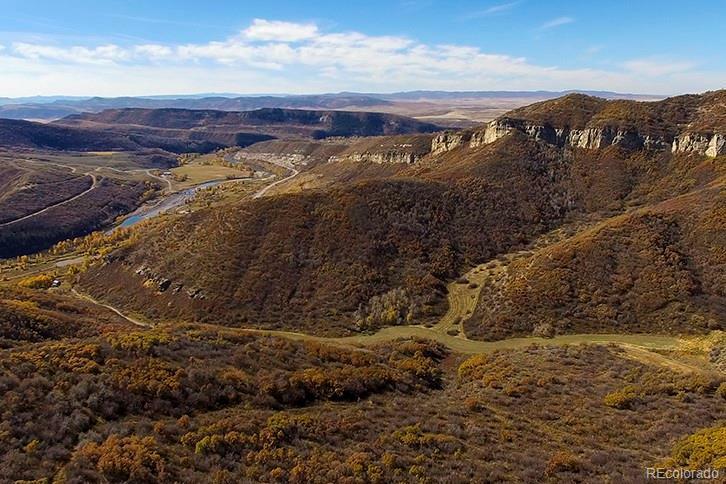 A must see for the buyer who wants a private property with acreage near Steamboat Springs.